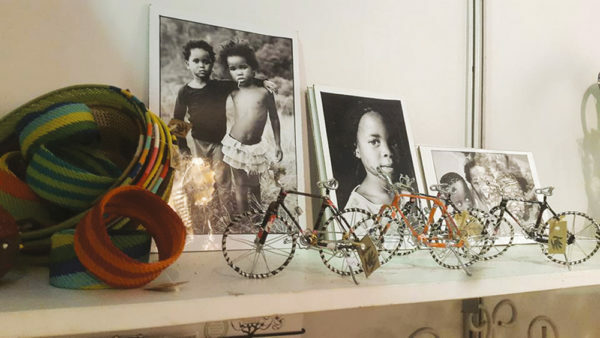 Stellenbosch’s international reputation as a centre for the arts has seen some incredible growth spurts of late, such as the recently launched Stellenbosch Art Route. Now, the upcoming Triennale, set to be officially unveiled by the Stellenbosch Outdoor Sculpture Trust (SOST) on the eve of this year’s Woordfees, will stand as yet another feather in its illustrious cap. 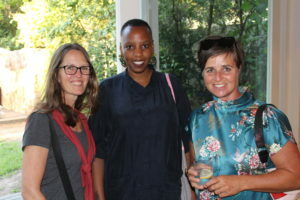 Stellenbosch Visio editor France Beyers, Triennale curator Kanyisile Mbongwa and SOST trustee Andi Norton. 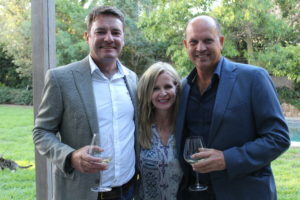 The trustees of the SOST Dr Mike Mavura, France Beyers, Elana Brundyn, Michael van Wyk and Andi Norton have put their heads together and form the driving force behind this initiative. 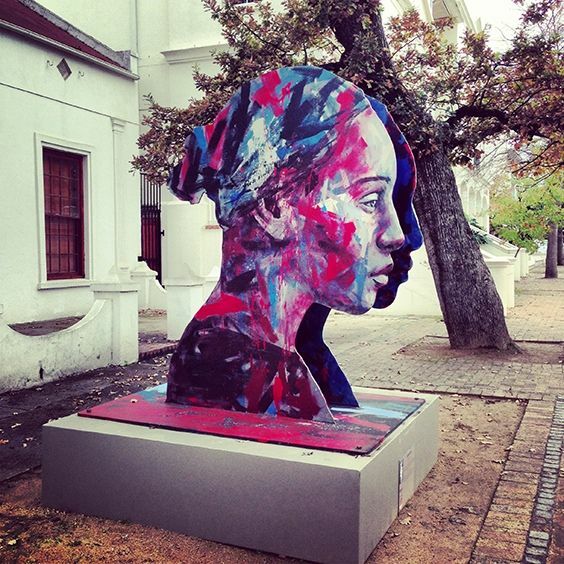 The SOST has been bringing annual public art exhibitions to Stellenbosch since 2012. More than 150 works of outdoor art have been placed around the town for everyone to enjoy; over 80 artists have participated and over 3000 school children have engaged with the art on learning excursions. The Trust believes the time is right to take public art in Stellenbosch to the next level, joining cities around the world in hosting what is considered the pinnacle of art exhibitions – a biennale or in this case, a Triennale. “Triennale is Italian for every third year and Biennale for every second year. The terms Triennale and Biennale are most commonly used in the art world to describe large-scale international contemporary art exhibitions. These events are considered to showcase the very best artworks from the particular countries in which they are hosted, with emphasis on new talent. They are not commercial exhibitions, which differentiates them from art fairs or selling exhibitions, and they have a particular emphasis on arts education and academic research. 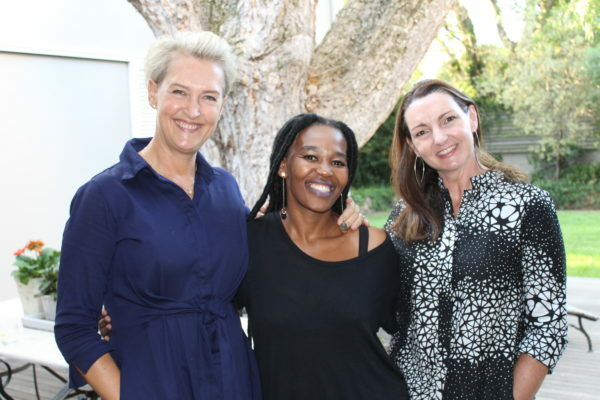 Stellenbosch will host a Triennale as it will take about three years between events to curate the quality of work that the event will showcase.” says Andi Norton. 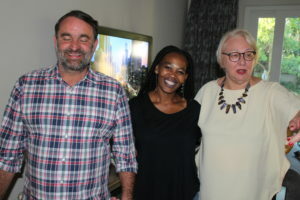 Hosting a Triennale in Stellenbosch will showcase the town as an arts centre on the global stage. The Triennale is partnering with all other stakeholders in the local arts and culture ecosystem – Cape Town Art Fair, Norval Foundation, Zeitz MOCAA, Woordfees, just to name a few. This collaboration will create a world-class arts destination and a very appealing reason for anyone to get on a plane and visit this part of the world. The SOST is committed to ensuring that the Triennale benefits the entire Stellenbosch community.